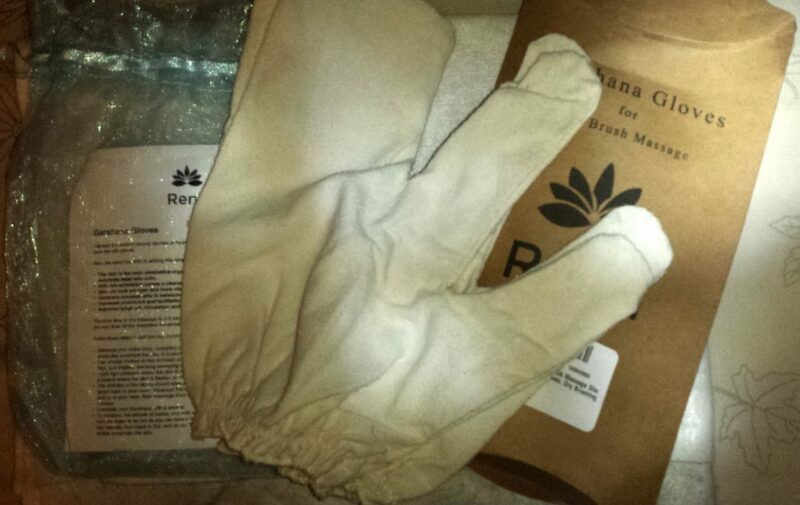 This week I had the opportunity to try out these Garshana Gloves for dry brush massage! Why is dry brushing important? If you already know the answer to that question, feel free to keep right on reading but if you are not familiar with the subject then I would definitely take a minute to read this post. Now that we’ve got that out of the way, let’s get down to the nitty-gritty! 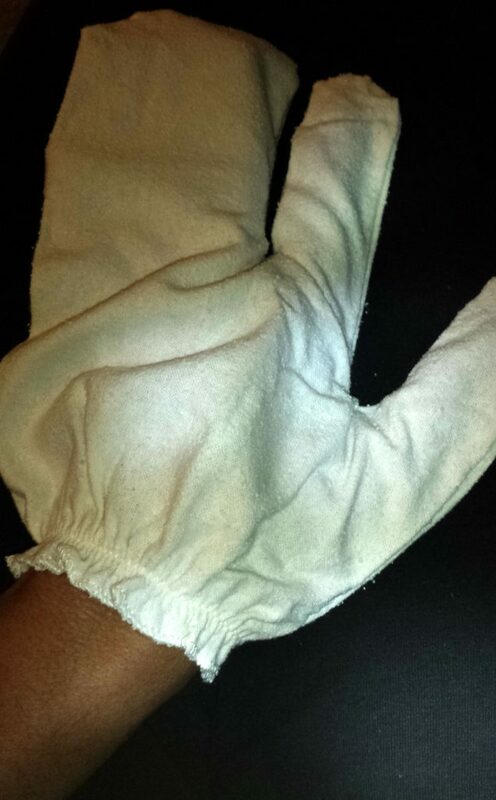 I was attracted to these gloves because they were a new way to perform dry brushing and it seemed a lot more simply that using the boars head brush that I normally use. Once I noticed that the gloves were made from 100% silk and well that’s it, I couldn’t turn away this opportunity so I placed an order on Amazon. The gloves were shipped very quickly and I received them in about 2 – 3 days. Upon opening the package I was happy to see a very simple pair of gloves and a set of instructions. 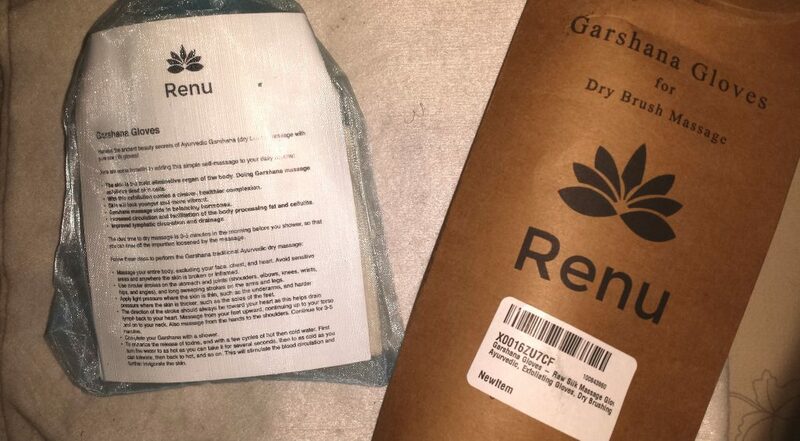 I immediately read and re-read the instructions to make sure I got the most out of my first Garshana glove exfoliating session. I started on my arms and worked towards my heart, then I moved onto my face, followed by legs working upwards towards my heart. I spent about 10 minutes even though the instruction said about 5 minutes was sufficient. After completing my dry brush massage, I immediately took a shower. Per the instructions, I switched back and forth between hot and cold water a few times to increase circulation and the flow of toxins released from my massage. I really like the feeling of the gloves, they felt like a light and gentle scratch but was invigorating as well as relaxing. The time I set aside to use the gloves turned out well because I also added in some light stretching and followed up my shower with a treat, MyCoCreations White Chocolate Body Butter! So basically my exfoliating session turned into a mini spa day. I am not sure how well the exfoliation works however because I do it often I don’t generally have a lot to be exfoliated. The one thing I was unclear of has to do with the laundering of gloves. Nowhere in the instructions did it mention washing or cleaning the gloves so I will give them a gentle handwash and hope for the best. Oh and even though the gloves are shaped funny they don’t feel awkward when you are wearing them, which is good because I was worried I’d feel clumsy or something. DIYMYCO : Stop paying too much for flavored coffee and make it yourself Make your own Butter Magnesium Oil – Fountain of Youth – Missing Link?? Is your deodorant helping you or harming you?